Appoint a guardian for your child in your will. This person should be someone who has a good relationship with your child, and who will love and care for him. Discuss guardianship with the proposed guardian, so you know that she is comfortable caring for your child. You may also want to discuss the specifics of your child's care with the guardian, and make sure that she knows all the child's medical needs, so that she can take proper care of the child. Create a special needs trust for your child. 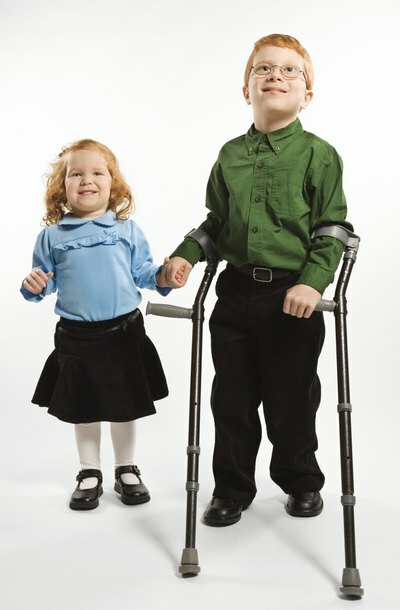 Special needs trusts are funds that are used to pay for medical care, as well as any additional needs and living expenses the child may have.Because wording a special needs trust can be complicated, it's wise to consult an online legal website that has experience with special needs children and their families. Appoint a trustee to manage the trust's funds. Although many parents make the child's guardian the trustee, if the guardian is not responsible with money, you might want to choose someone else. Consider consulting a financial planner, who can recommend a professional trustee who has experience handling special needs trusts. Include "pour-over" language in the will and special needs trust. This is language that dictates that any property your child stands to inherit should go directly to the trust. For example, if your child will inherit your home, you may want to state in the will that the executor of your estate should sell the home and that the funds should go directly into the special needs trust. Family Connect: Who Should Manage Your Child's Special Needs Trust?